Characterized by joint inflammation and stiffness, arthritis can be a very painful and disabling condition. But while this condition produces severe symptoms, there are many ways patients can reduce swelling, ease mobility, and relieve pain. If you’re searching for non-medicated, non-surgical solutions, here are a few natural and non-invasive ways to relieve joint, neck, and back pain caused by arthritis. Talk to your doctor about the external factors that may contribute to arthritis flare-ups. For example, cold weather, inflammatory foods, excessive activity, and stress are all common reasons why people experience an increase in symptoms. Once you identify these triggers, take steps to avoid them. Excess weight places additional stress on joints, especially the hips and knees. This pressure can contribute to an increase in arthritis symptoms, such as neck and back pain. By making an effort to maintain a healthy weight through diet and exercise, you can reduce the amount of stress placed on your skeletal system. Apart from helping you maintain a healthy weight, regular exercise can help strengthen joints and muscles, as well as promote greater flexibility. 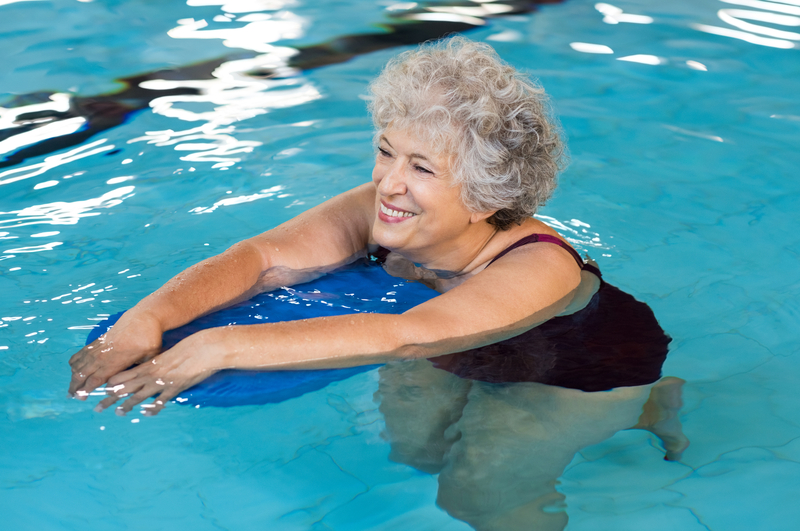 While certain activities can cause inflammation, low-impact fitness—such as swimming and yoga—can help minimize the severity of arthritis flare-ups and help you stay mobile. Depending on the symptoms you are experiencing, applying a heat or ice pack may help provide relief. For example, if you are looking to soothe stiff joints and muscles, applying heat can help increase flexibility. Cold application, on the other hand, is ideal for reducing inflammation and minimizing nerve activity after an injury. If the above self-care methods aren’t reducing your arthritis symptoms, talk to a chiropractor. Specializing in the treatment of the musculoskeletal system, these doctors can accurately identify problem areas and deliver customized treatment to help you find relief. Rather than using medicated or surgical solutions, these professionals rely on special techniques that reduce swelling, ease neck and back pain, promote flexibility, and stimulate healing. When arthritis is causing you severe pain and immobility, turn to the team at the Stroud Chiropractic Clinic for relief. Providing high-quality chiropractic care in Randolph County for over three decades, this award-winning practice develops personalized treatment plans to target arthritis symptoms. Whether you need a spinal adjustment to ease back pain or laser therapy to reduce joint inflammation, this team will always deliver treatment that is friendly, gentle, and reliable. For more details on these services, visit the clinic online. To schedule an appointment, call (336) 434-2107 to reach the Archdale, NC, office.